India.Arie Simpson is among a small class of post-millennial R&B artists more likely to recall the likes of Roberta Flack and Bill Withers than almost any given artist played by urban contemporary radio stations. An AFM Local 47 member since 2003, she was born in Denver to parents from Memphis and Detroit. Her musical skills were encouraged by both parents in her younger years; her mother is a former singer (she was signed to Motown as a teenager and opened for Stevie Wonder and Al Green) and is now her stylist. 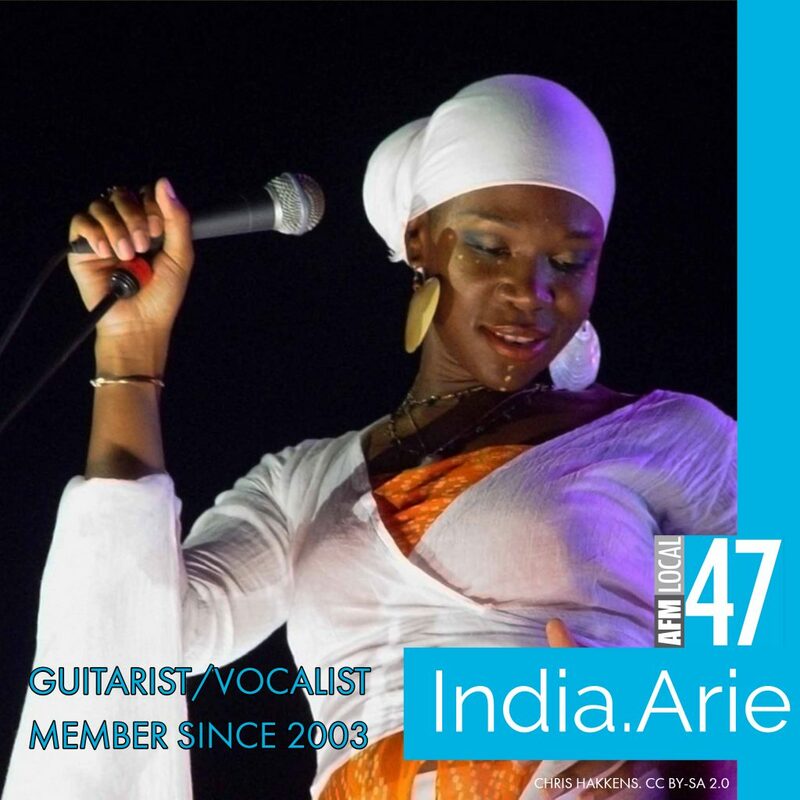 India.Arie had taken up a succession of musical instruments throughout her schooling in Denver, but her interest in the guitar while attending the Savannah College of Art and Design led to a personal revelation about songwriting and performing. To date, India.Arie has sold over 10 million records worldwide, and won four Grammy Awards from her 21 nominations, including Best R&B Album.